Childhood mental health services are in crisis. When a child who feels helpless, hopeless and out of control is brave enough to tell their parents, only to discover that they can’t find a way to solve the problem either, the world very quickly becomes a much scarier place. Small issues can become huge and unmanageable if they’re not effectively and quickly nipped in the bud. It can take months or sometimes even years to get access to Children’s and Adolescent’s Mental Health Services (CAHMS). And this underfunded division of the NHS is buried in an avalanche of acute cases which it doesn’t have enough resources to deal with. The upshot is that things have to be pretty bad for any kind of treatment to be available. When is it ever acceptable for a suicidal child who has made repeated attempts to take their own life to be told not to ‘prove a point’ by trying again by the very professional sent to intervene, as was the case highlighted recently on Panorama? I can only imagine that the CAHMS crisis specialist concerned was hardened to the traumas they were dealing with on a daily basis and able to easily dismiss the extreme distress this family were suffering (knowing there was little they could do to help anyway). Sadly, I wasn’t shocked or surprised by the cases Panorama highlighted, just deeply saddened by the fear and frustration of those suffering without meaningful support. Their plight is not unfamiliar to me as I see a steady stream of children and teens whose parents have been through all other available channels before finding me, usually through word of mouth referrals. I am often their last resort. 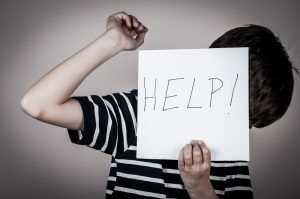 First contact may be an email or phone call from a distraught parent detailing a litany of failed attempts to find solutions to their child’s mental distress. They describe how countless tears are shed over discussions with teachers, sessions with school counsellors, trips to the GP, referrals to CAHMS for an assessment which can take months and then still lead to no support, visits to NHS psychiatrists or to private child psychiatrists and psychologists (who cost a bomb). Of course, all these services are doing a sterling job of scratching the surface of a sore which just festers and grows. And I’m typically only seeing the ones who the system fails so I don’t get to hear about those who may be delighted with the support they get elsewhere. By the time they get to me, they can be traumatised by the treatment for their trauma. Most anxious children do not enjoy being the focus of attention and many struggle to articulate their feelings. They might be angry or resistant to the prospect of being grilled by yet another well-meaning stranger. And they have little or no expectation of anything changing or getting better. Also, they may have suffered years of deteriorating mental health and disappointment over multiple failed interventions. Generally, the first thing I’ll ask them is how they’re getting on with their friends. Peer approval is everything to them, whether they be eight, 14 or 19. They are often socially isolated or marginalised because of the symptoms of their anxiety. It’s hard to chip in during break time banter when you’re feeling like you might throw up any minute. And concentrating in class is not easy if you urgently need the loo and don’t want to draw attention to yourself by asking to be excused. I advise parents to look out for signs of nausea on a Sunday night or difficulty eating breakfast. 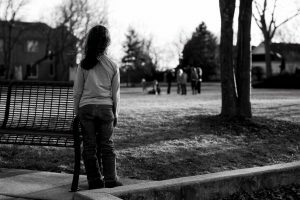 Busy parents often miss the clues that their child is suffering from social anxiety. So, I suggest they encourage discussion about what’s going on outside of lessons at school. There might be a lot of seemingly trivial ‘well she said this’ and ‘then they did that’ but these are not trivial things to a child who has no one to hang out with. 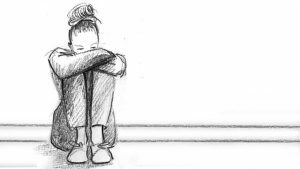 Neither school nor parents are good at dealing with exclusion bullying, casual shoving around in the corridors or the verbal insults an anxious child is often subjected to, which are now all over social media as well as being in their faces. The best thing for parents to do is to equip their children with tools and strategies to handle their social problems themselves and go in to school only when all else has failed. The worst thing to do is to do nothing. Open channels of communication between parent and child are essential or you simply won’t know there’s a problem until it’s escalated to the point of being unbearable. Different school environments present different problems which highlight bigger issues: Gang infighting and knife crime at one extreme in schools in some deprived areas and self-harming and eating disorders at the other extreme, typical of academic high achievers. Add the wide availability of recreational drugs to the mix, across the entire social spectrum, and it becomes evident just how difficult it is for parents, schools and the health service to safeguard the children in their care. If the problems are to do with conflict, dysfunction, breakdown or abuse within a family, then they become social issues as children raised in such environments are often hidden from the view of any agencies that might be able to help them. And then they have a tendency to repeat their experiences in adulthood with their own families. Parents in these circumstances often don’t compute the damage being done to their children and very often need help themselves. I always take into account the family situation when working with the young. The relationship dynamic between siblings, parents and extended family is an important factor in emotional development. That sometimes means helping parents to understand how their children are influenced by their behaviour, a tricky line to tread when mum and dad are doing the best they can and aren’t always aware of their own problems. In these times of uncertainty, high expectations and multiple demands on time an energy, there is no one size fits all, easy fix for the many complex issues which afflict our children. Given that we understand so little about neurological development, it is inevitable that some troubled children will grow up to be anxious adults who struggle to cope with the stresses of daily life. Luckily, we are now more aware of the consequences of doing nothing to prevent this mental health epidemic. And maybe CAHMS will soon get the funding it needs to fill the gap in services so effective, timely preventative treatment can be available.